Hary Tanoesoedibjo, an Indonesian media tycoon and business partner of United States President Donald Trump, said he has decided against running for presidency and will instead back President Joko Widodo for a second term in office in the 2019 election. Tanoesoedibjo, the founder of media and real estate conglomerate MNC Group, leads a relatively new political party in Indonesia called the Indonesian Unity Party. 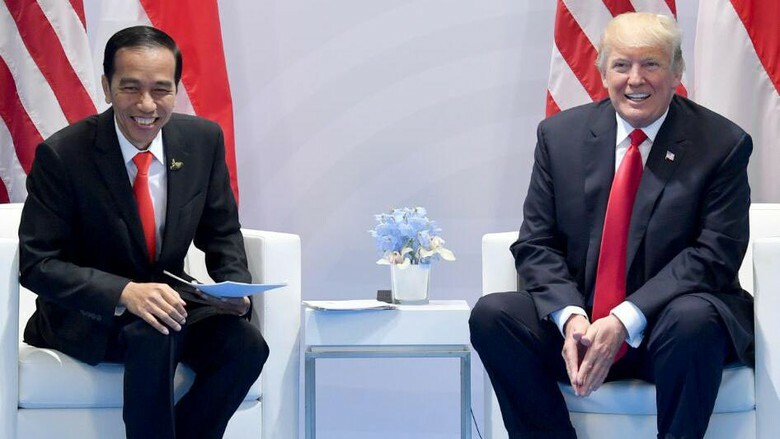 He had been widely understood to be keen on running for presidency and has even previously said he had been inspired by Trump to run for president in Indonesia. However, speaking in Singapore recently, the 52 year-old businessman said that he has changed his mind on the matter, suggesting that current president Joko Widodo is favored to be re-elected as president. “If you look at the situation today, Jokowi is the strongest candidate,” Tanoesoedibjo said, as quoted by Bloomberg. However, he hinted at the possibility of running as Widodo’s vice president, saying that he will “just let it flow” when posed a question about the matter. While in any other circumstances having a powerful businessman as a running mate would seem like logical for any presidential candidate, analysts have said that Tanoesoedibjo, an ethnic Chinese Christian, could actually become a burden for Widodo if they were to pair up for the presidential election, simply because of the current political climate. Indonesia is currently still feeling the after-effects of the religious tensions that spread in the country leading up to the Jakarta governor election held earlier this year. The tension was fueled by an alleged blasphemous remark made by Jakarta’s former Chinese Christian governor Basuki Tjahaja Purnama, which enraged Muslim groups who held numerous street rallies which eventually helped topple the governor off his post. Though Tanoesoedibjo may not be the best choice for the role of vice-president, Centre for Strategic and International Studies researcher Tobias Basuki said that his support could prove invaluable to Widodo’s campaign. “He has the ability to translate his media influence into building support at the grassroots level. He will definitely have some small bargaining chips,” Tobias said. Tanoesoedibjo currently has deals with the Trump Organization to upgrade and operate a 700-hectare resort and golf course in Lido, West Java, and a 100-hectare complex in Bali. He was also on the guest list for Trump’s inauguration, and has often touted his friendship with Trump’s children.